I have a bust of Honest Abe that my father brought back from a trip he’d taken to Washington D.C. when I was a child. I keep him on my desk because he was honest and forthright as legend had it, and helped abolish slavery. He is also a gift my father gave me. As Abe traveled with me from desk to desk, in college and beyond, I had my father, who also represented “the truth” and endless knowledge, with me as well. I hadn’t thought for a long time about Abe Lincoln, Bob Dylan, the poet Yehuda Amichai or others who had once been my idols until my Ethics teacher Chava asked us the seemingly simple question, “Who are our sages?” in response to a quote by the twelfth-century philosopher, rabbi and doctor, Moses Maimonides. I drew a blank. The ten students in our adult education class were uncharacteristically silent as well. We returned to the text with Maimonides’ sage advice: “Eat and drink with your sages, live as they do.” As I took in these words, I realized that I have lost sages from living too close to them and discovering discrepancies between what they say and how they live their lives. At High Holiday services, our rabbis decided to forgo a sermon and instead discussed their most significant heroes. Our senior rabbi said his role model was another rabbi, a mentor who had once said of him, ”he is one of the brightest but he has bad faith.” Our rabbi is now sixty-something and when he finds himself in a “bad place,” he often thinks of his rabbi’s words and becomes aware of his own bad faith. Our assistant rabbi remembered a piano teacher whom she loved and admired and who taught her a lesson by not choosing her for a main part that she expected to get in a play because she was such a dutiful student, arriving early each morning to help set up the music room. It had been given to someone who the rabbi later realized was more deserving of it. These were lessons of tough love given by teachers who they later emulated, who helped both of them become rabbis and menches. Dylan, my erstwhile idol, has become Christian. I love the rhythms of his new music but I can no longer live by his words. I’ve found a new hero, though, in my philosophy professor who knows everything like my father does. He is a profound thinker who introduces me to Moses Maimonides’ “Guide for the Perplexed.” He believes in the ancient philosophers and the modern poets. I don’t think he’s as taken with the more contemporary poets like Adrienne Rich whose work speaks to me with its simplicity and power—although I am not yet a feminist like some of my classmates. Most importantly, my professor has discovered that I am a poet. He even asked to read some of my poems and he admires them. Over the next few years my friends and I will take as many of his classes as we can. Senior year he is mentor for my honors thesis. Although he is an academic and a philosopher to boot, he oversees my creative project. I come to his office once a week to show him what I’ve written. Even after I graduate I still write to my professor asking his take on everything from the war in Lebanon to the state of my own poems. Eventually he would ask me to find someone else with whom to share my poems. Someone local. A poet. For a long time my professor allowed me to project all of the goodness and power onto him. His belief in my poems gave them a validity that was difficult to find post college. Eventually I would also learn of his failings and he would become more friend than sage. I’ve listened to other people’s stories of their idols, heroes, role models and mentors, but it wasn’t until my teacher looked us in the eye, it wasn’t until Maimonides’ words were isolated and presented before me that I realized there was an empty space in place of what once was an image of my sages. Long white beards? Untouchable poets? Father? G-d? But we are supposed to eat and drink with these wise men…. and women. When we come back to class the next week, after the question of sages had been released into the atmosphere, Chava admits she had been thinking about this question all week and wondered what we came up with. When I gave her the list of all of my potential sages and how they’ve failed me by being imperfect leaders, doctors, teachers, rabbis or politicians, Chava says I’m too harsh, that a person can’t be perfect in all respects. My children, my students and my husband have said the same thing to me. But when I think about someone worthy of emulating, of living my life according to their virtues, I can’t divide their beliefs and their actions. If they don’t live up to their own ideals, how can I? And if I don’t agree with their ideals, how can they be my sage? And why has this awareness of being sageless suddenly grabbed me by the throat, refusing to let go? Chava says sages don’t have to be leaders or teachers. Getting back to Maimonides’ suggestions, perhaps our “sages” can be the people we are intimate with, the people we already eat and drink with. Although I’ve always admired my husband for his ethical and moral conduct, I’ve accused him of not having his priorities straight. Most of my friends and family members are good writers, citizens, doctors or parents. I don’t know anyone who excels in all of these areas. I am often disappointed by one friend or another. One leader or another. One doctor or another. One teacher or another. There was a time I worshiped writers: Yehuda Amichai until he was unfriendly at a reading in Jerusalem; Adrienne Rich until she made an anti-Israel comment; my poetry professors at Iowa until I lived close to them for two years. Poets were my sages until I ate and drank with them. The poems we write and the purity we strive for in our art does not always translate into our lives. At the end of my Ethics class I continue to wrestle with this question. And like all good classes, I leave with more questions than answers. But when I lament to my tween daughter that I’ve lost my sages, she says, from the back seat of the car, “Mom, you shouldn’t need role models anymore, you are old enough to be a role model. People follow you now.” I’m struck dumb by such youthful wisdom. I meet my students at cafes this term. Not the ones in my workshop or other classes but the ones that have been assigned to me to work on their final projects for their certificates in creative writing from University of Chicago’s Graham School. On the first night of the creative nonfiction writing workshop that I’d taught the previous spring, one student, M, responded to a writing exercise to begin with the words “I want to write about” and then to keep writing nonstop, by writing about his obsession with Laurie Dann, the woman who walked into a Winnetka school and shot children. He’d been holding this story for twenty years and, in our presence, the words came pouring out. After he read them to us I was struck silent, again, by the wisdom of someone so much younger. During our conference that term, he questioned if he had a right to write a story like that, an event that he didn’t witness as a nine-year-old in Bolingbrook, but that nonetheless shaped his view of the world. He was concerned about being exploitative. I convinced him he had a right to his story, which I knew he’d treat with depth and compassion. Between January and April I meet regularly with M, J and P. J had taken three of my classes and I was helping her create a narrative out of her experiences adopting children from Eastern Europe. P was writing humorous witty essays and I helped her find her more reflective voice and to use humor to reveal her subject rather than deflect from it. We had deep and energizing conversations. With M the mood of our meetings was often serious. I praised his work and helped him make it better. I am sitting at my friend Lori’s house where she and a rabbi who recently moved to town are creating a Sabbath morning prayer ritual. Serendipitously, as Rabbi Ruth tries to get us into the state of mind for prayer, she asks us to imagine all the people near and far: mentors, teachers, loved ones—all those who have influenced us. I try to bring back my professor for a moment but can’t stay in that place. I think about how I sent him my book of poems two years before and the beautiful card he sent in response. Yet I was disappointed that he wrote the card before reading the book, that he didn’t respond directly to the poems. Why hadn’t I dropped him a line in two years? So yes my young daughter was right. I have to let my sages be. They have served their purposes. They’ve allowed me to watch them when I’ve needed to see all of the different possibilities of being human. When I needed to believe that my father was all knowing, he appeared that way to me. 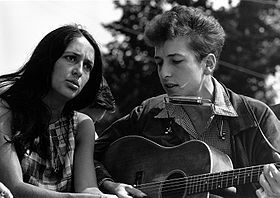 When I needed Bob Dylan to possess the deepest truth, I listened to his songs and found my own truth. When I needed a clearly articulated philosophy instead of my murky understanding of history and politics, I listened to my professor. As I looked around the room at friends and strangers, communing with their own mentors in prayer, I realized that it is who I’ve looked up to and how these men and women have allowed me to know and strive for my best self, that is of lasting value. In keeping with this epiphany, my thoughts stray from my fallen sages to the students in my life, particularly my advisees. And my gratitude at the moment is for them: the beauty of the essay M is writing about Laurie Dann and how far he has come in discovering the meaning of his obsession with the school shooter. In the spring, in an introduction for his public reading, I would compare him to my son. And the words I used to describe what he brings to his writing—compassion, integrity, honesty and intelligence, are qualities I look for in a sage. At graduation when I give my parting words I encourage my students to remember what they’ve come to say, and to embrace the process of sitting alone in the dark and being surprised by what appears on the page. Another instructor encourages them to trust themselves. Our words are preparing them to take the rest of their journey, alone. If part of being a mentor is knowing when to let go, I am still working on this. After graduation I eat and drink with my students. Next to us, the June river is sparkly and young well-dressed twenty-somethings walk by on their way to bars alongside families with saris and Hasidic garb. Although the men do most of the drinking, my one glass of wine opens me up enough to publicly criticize another writer, to remove my professional shell, to drink some of M’s beer. My students are wise enough to embrace both our humanness and our vulnerability. They find in us what sustenance they need. They are looking for answers to their own weighty questions; they are not looking for sages. As I look back at my fallen sages, their virtues remind me how I want to live and their weaknesses remind me of the person I don’t want to become. And maybe it is only now, after walking on both sides of the road, as a young student and as an adult student, as teacher for the more mature, that I can honor both the purity and the humanity of the sages that led me to where I am now, that nurtured the gifts that I can now bestow upon others.